How to transfer DVD movie to iPod, iPod touch, and iPod nano? How to put DVD movie and music to iPod video with iPod transfer software? You may enjoy DVD movie and music with DVD player at home to spend your leisure time. When you go to work or on the way of journey, you can enjoy DVD movie and music with your iPod. So iPod makes our life more colorful, and makes us to enjoy DVD movie and music everywhere and any time. So ImTOO DVD to iPod Converter is needed, which helps you convert and transfer DVD movie to iPod video MP4 formats and audio formats including MP3, M4A. It also supports all iPod and iPhone type: iPod touch, iPod classic, iPod nano, even iPhone, iPhone 5, iPhone 4S,etc. How to convert DVD movie and music to iPod video? Step 1: Download ImTOO DVD to iPod Converter and install. Run DVD to iPod Converter and load DVD. Choose "Add DVD Folder" in the "File" menu or directly press the "DVD" button in the main interface, then select your DVD drive in the pop-up window and press the "OK" button. Set output format and conversion mode. Set output format in "Profile" combo box and you also can set conversion mode in the right column, such as Bit Rate, Sample Rate, Duration, Start time, etc. B. Save to iPod directly: Click "Output to iPod" button. 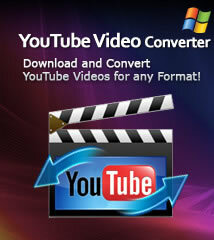 Please clicking the Converting button to start conversion. to select. For example (the following picture), there are two options - English Ac3 2ch (0×80), Francais Ac3 2ch (0×81). 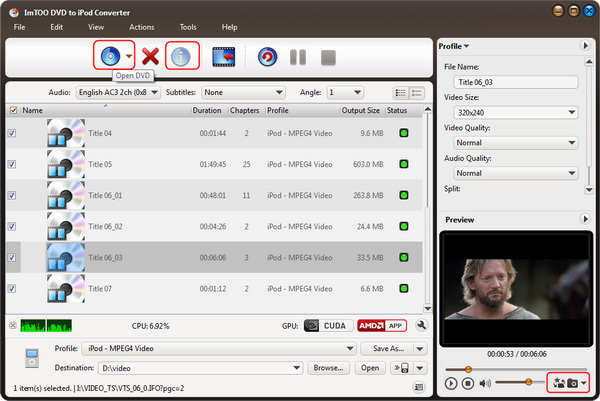 can adjust the offset of the DVD's subtitles in the "DVD(Global)" tab which's a part of the "Preferences." option. Split by selecting certain option in the combo-box at the bottom of the interface. 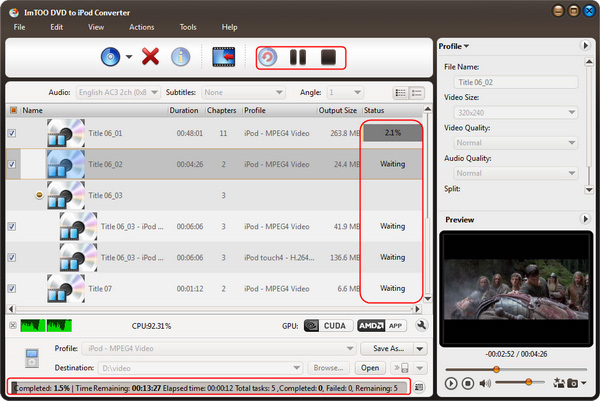 duration time format is hh:mm:ss or s, for example: 00:00:40 or 40. 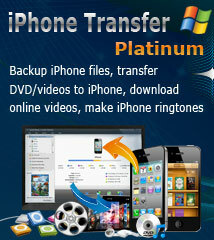 How to transfer music, videos from iPod to iTunes? How to manage iPod files with iPod Manager software?